The siding on the chimney and back side of these houses were in disrepair. 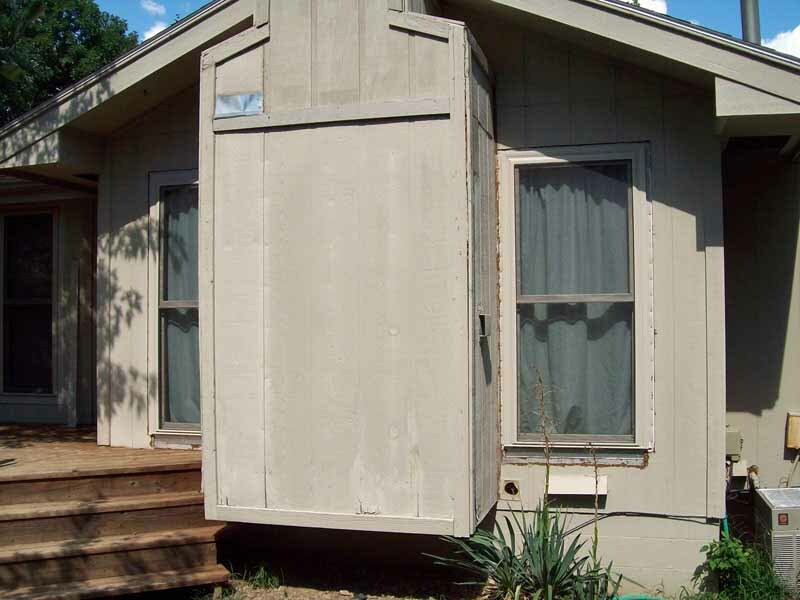 There was a metal patch covering a hole, rotted trim boards, improperly installed flashing which caused much of the initial damage and wood used improperly to cover missing caulking. 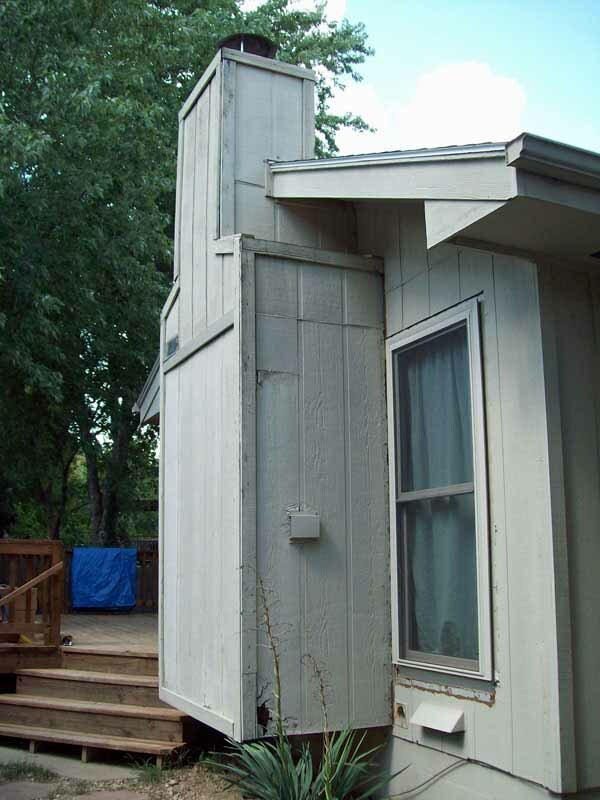 Unfortunately, we see this type of poor craftsmanship all too often with homes using hardboard siding, in Omaha, La Vista and the Papillion areas. 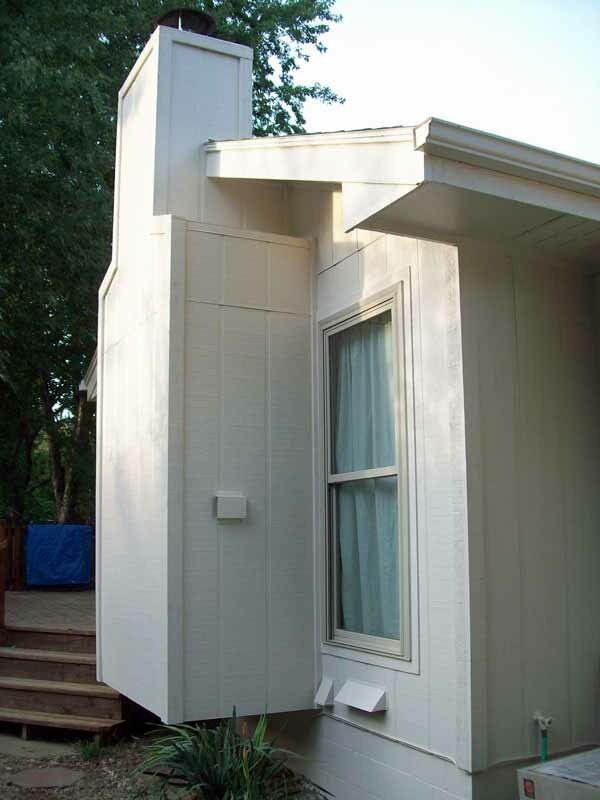 Visit our Full Siding Services page for a complete list of products and services. 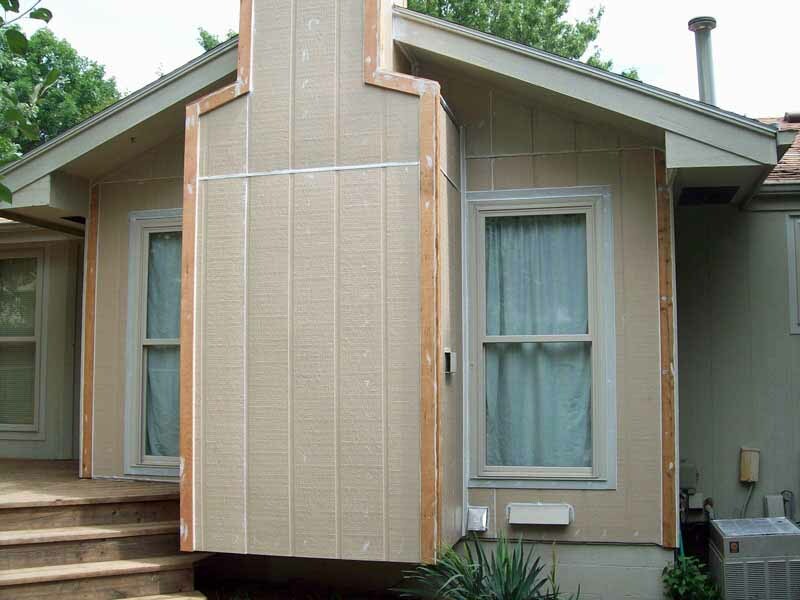 Notice the swelling or bubbled up siding near the bottom of each board. This indicates water damage. 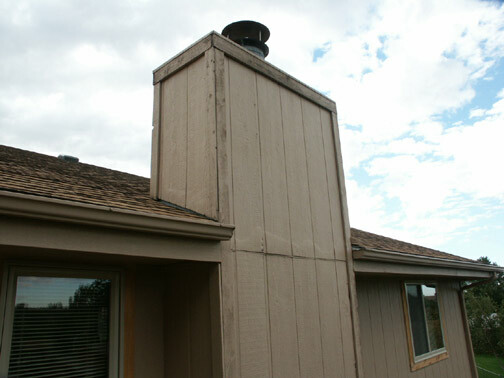 Most chimney rotting and deterioration is due to water entering near the edge of the gutter. 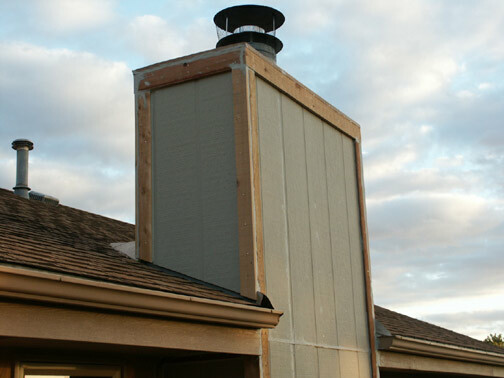 Often there is not enough flashing or the flashing may be improperly installed. We can add the correct flashing and in severe case may ask about installing kick-out flashing to divert large quantities of water. Using a kickout flashing can help keep the majority of the water on a roof from ever coming in contact with the siding. 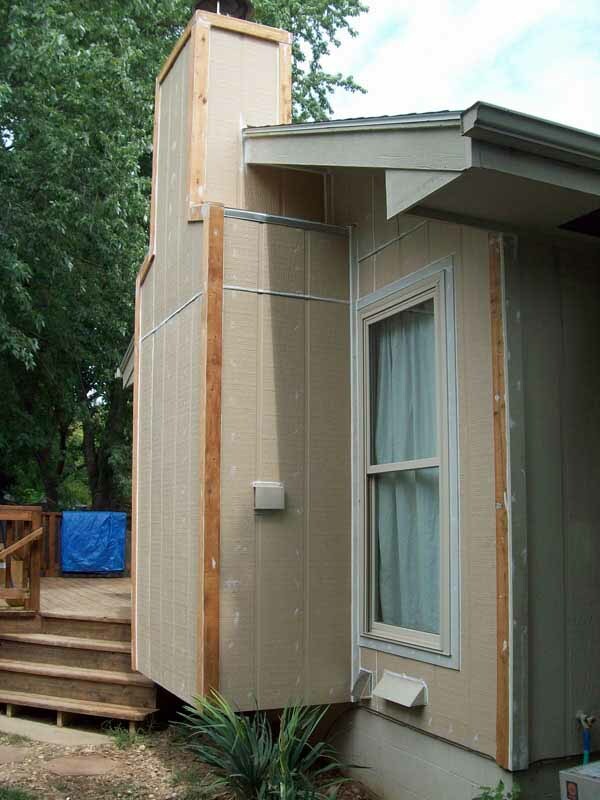 If the siding on the rest of your home is soft, leaking or rotting, we have a solution for that too! These are all issues which unless you really know HOW it should be done, you would never know that your chimney is built incorrectly. 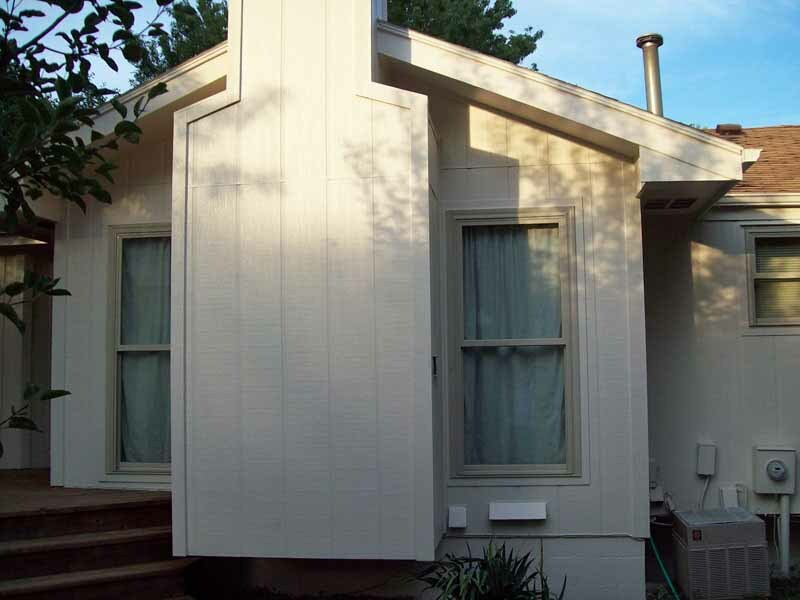 Call Scott's Painting & Staining Inc. today for a free home inspection and estimate. We can offer various solutions for all budgets, and will let you know which option is the best long-term solution!